DMINLGP.com | Learning, Listening and leadership in cross-cultural Partnership. 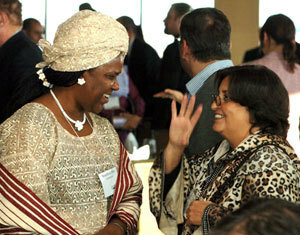 Learning, Listening and leadership in cross-cultural Partnership. The tragedy of the Moriori resembles many other such tragedies in both the modern and the ancient world, pitting numerous well-equipped people against few ill-equipped opponents. What makes the Maori-Morior collision grimly illuminating is that both groups had diverged from a common origin less than a millennium earlier. Both were Polynesian peoples.” This is what is happening in Southern Sudan. There is need for the ability to learn, listen and a willingness to lead by way of serving in a manner that asks the necessary question. Like Yail and Diamond, followers of Christ need to be concerned about people impacted and affected by disparities. If the vicious cycles of violence and oppression persist, how much more a faith presence of a virtuous cycles? Jared Diamond, Guns, Germs and Steel: The Fates of Human Society (New York: W.W. Norton & Company, 2013),36. Jared Diamond, Guns, Germs and Steel: The Fates of Human Society (New York: W.W. Norton & Company, 2013),14.